After a very nice meeting in Martinique, an interview with Franck and Emmanuelle from La Favorite seemed to be logical. Having a lot of affection for this distillery, I am very honored to be able to offer you this little interview on my blog and thus pin La Favorite to my list! Hello, could you briefly trace the history of La Favorite with the key moments and philosophy ? What’s your current production? 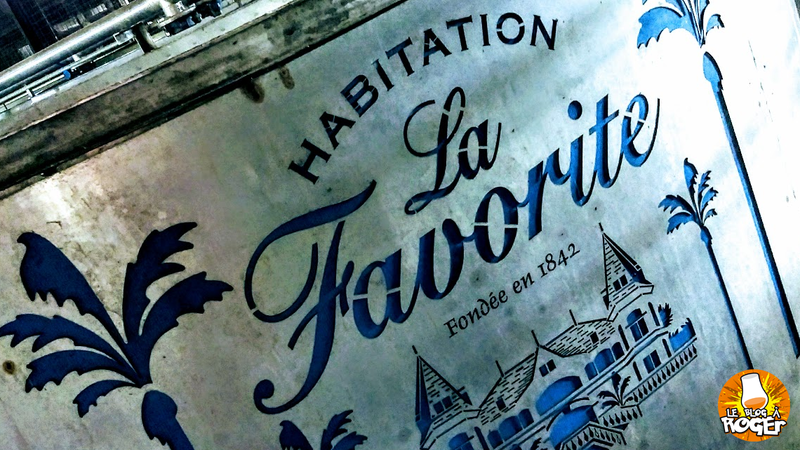 Hello Roger, La Favorite was first a sugar factory in the eighteenth and nineteenth centuries. Founded in 1842, it was owned by two families. Henri Dormoy bought the factory and his estate of more than 600 hectares in 1905, he had developed the production of agricultural rum, modernized the distillery including the Steam Machine Marriol, still in service nowadays. After World War I, he built the current Castle, where the Dormoy Family lived until the end of the 1960s. Little anecdote, Château La Favorite was built at the same time as Château Depaz, with the same gray stone imported from Alsace. It is one of his sons André who will buy the distillery and its lands after the death of is father in 1938. He will hold the reins of the company all his life, developing the brand in Martinique, exporting, and acquiring in the 1970s the Survi brand, after the closure of the Roches Carrées distillery. Then, on his death in 2000, his 6 children will follow suit, and will continue the family history, begun a century earlier. Franck, the 4th generation joined the team in 2006, to take over the farm, and train in all trades Distillery. 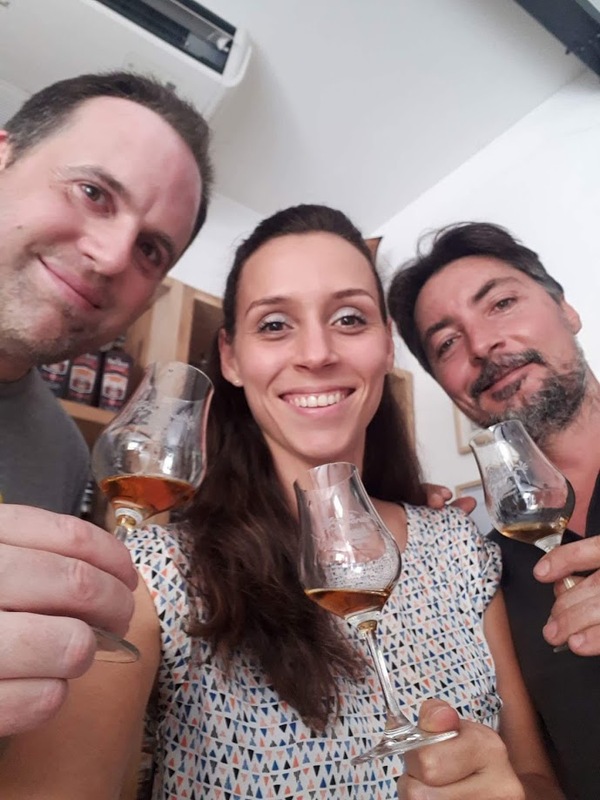 A new dynamic has been brought to the range over the last 5 years, in order to reposition La Favorite on the booming agricultural rum market, strengthen the links between the producer and the consumer through a simple and human communication. You are, with Neisson, the last distillery still 100% family of Martinique. Is this still sustainable today? There are real constraints related to that, of course, the small structure that we are does not have the same financial capabilities as some of our colleagues, nor the same budget to allocate to communication and marketing as a whole. But we have very good qualities, to which consumers are more and more sensitive; the craftsmanship that we preach at every stage of production, being a human-sized company, which facilitates direct relationships, and the soul that drives this brand. La Favorite touches the emotional, and we like to work in these conditions and watch every day, as a silversmith does with a jewel. This is our strength, and we must continue to fight, because the competition is tough, to keep it as much as possible. Harvests are more complicated than before. There are still a few years, the seasons were well marked. Today, we have to deal with climate change, as elsewhere in the world. No more rain during the harvest period, which leads to a drop in yield per hectare, and therefore an increase in the cost of production. Moreover, distribution is not easy, especially in the export where we entrust our brand and our rums to our distributor partners. 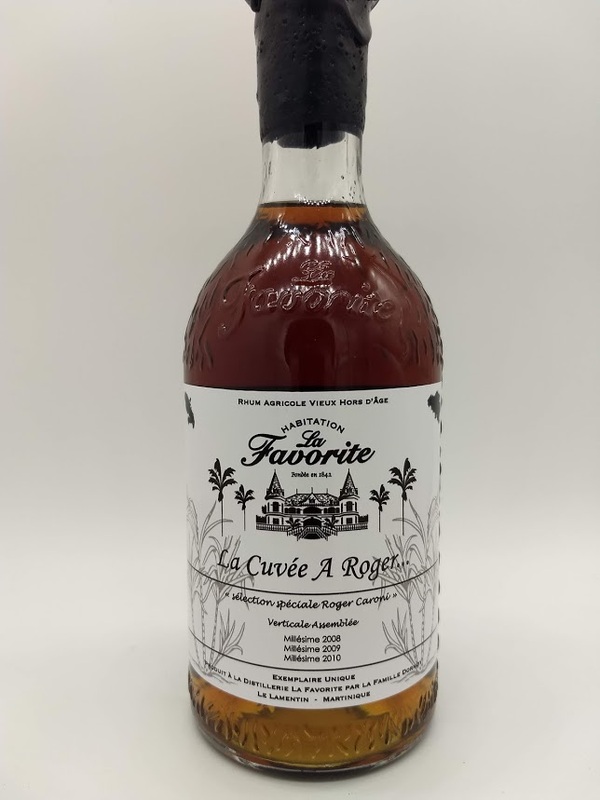 We are a small company and offer a niche rum, so we need to work with networks wishing to promote craftsmanship, family entrepreneurship and AOC Martinique (which represents only 2% of the world rum production) ). Your range includes classic and premium. How do you see the evolution of these last ones? The privilege no longer exists, the flibustes diminish in ages. The future is in the younger vintages like 2008 and 2009, the premium white bel’air and more confidential outings like the Brière de l’Isle? 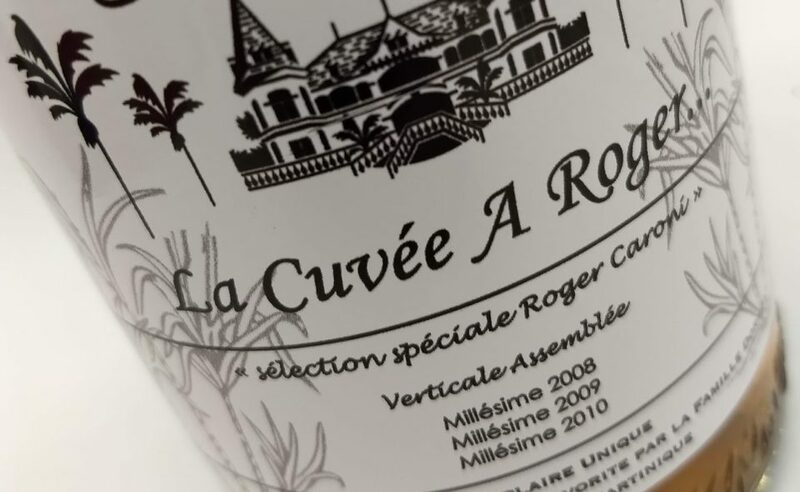 The classic range of “Coeur de Canne”, “Coeur d’Ambre” and “Coeur de Rhum” has its place, it touches a festive and regular consumption, and it is on this range that we can ensure a certain volume. The premium range is more specific because of the techniques and the small quantities. It affects a more informed consumer, and in search of pure tasting. It is with these ones that we will explore several innovative techniques for us, and propose a more complex offer. Then, the white rum, whether it comes from a classic blend or from a variety and plot selection, is an important product, it represents La Favorite 80% of our annual volume. 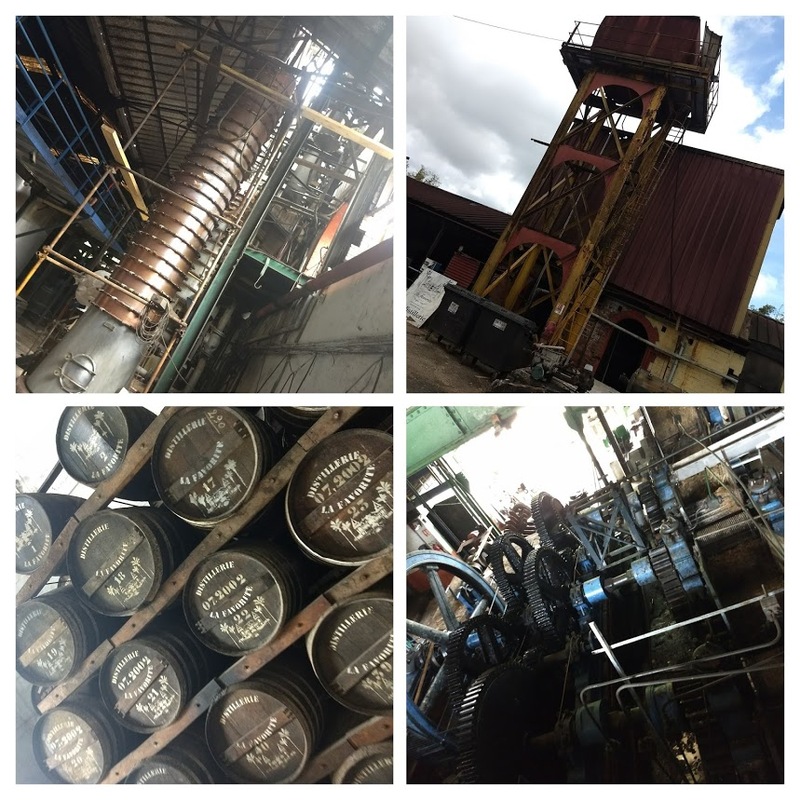 And they are beautiful rums, they express the soil, agricultural work and the basis of all aging. The aged rums reflect another aromatic palette, completely different from that of whites. They are the work of investment, patience, and control of time. At our place, they represent 20% of the volume, that is to say nearly 2 400 barrels and 6 foudres. The premium range has been restructured over the last 4 years. And it is with pleasure and passion that we work daily to offer a symbiosis between the brand of the producer, the brand that will sign its rums, and the expectations of our consumers. A balance between supply and demand in fact. The rum market seems to be booming. The emergence of several Facebook pages, tasting groups, blogs being no stranger. More and more requests for stocks that are not extensible. Are you affected by this as well as your Martinican colleagues? An increase in prices as we see everywhere is it relevant to you? Indeed, the rum market is growing, and that’s good! The visibility offered by you, enthusiasts and other amateurs, and the place given to La Favorite allows us to be discovered, and for that we thank you. The rise of agricultural rum is partly due to social networks. The demand is growing, but the offer on very old rums in particular is not extensible yes. We can only prepare for the future by putting more rum into aging. At La Favorite, the price increase that we apply is not due to this increase in demand, but rather to increased production costs, and this right from the harvest. AOC has been around for more than 20 years now, how do you see the evolution of it? Does not it tend too much to block certain ‘experiments’ like finishings, ‘sauces’ as practiced at the time, the duration of fermentations etc? The AOC has been a desired project, led by the producers themselves for more than 20 years. The specifications were created to produce terroir rums, the most representative of a know-how and a defined appellation. It is not frozen and is made of intervals at each stage, which allows a largesse to the producer. It is obvious that one can not want to claim a typical product of a region, and at the same time to move away from this typicity. 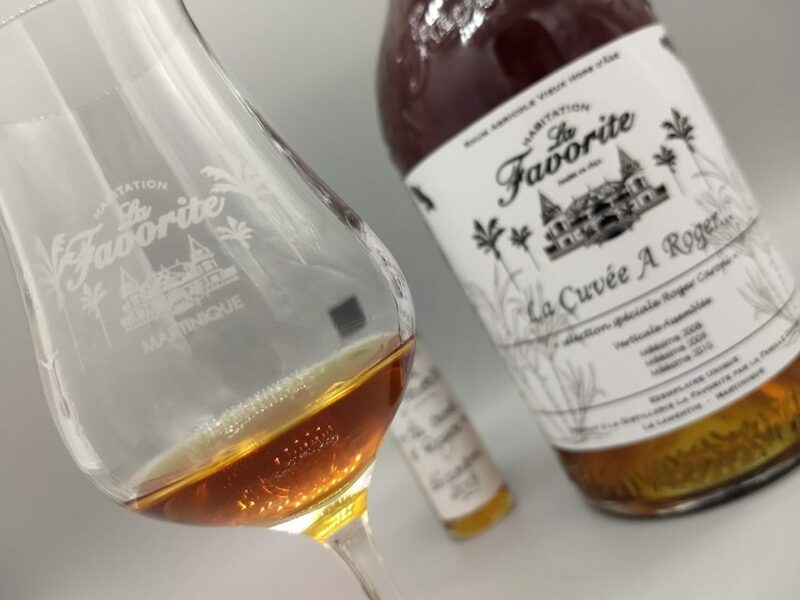 The producers of Martinique have made the choice to value the region and to propose a quality resulting from a terroir, to differentiate itself from the other rums produced in the world. But this does not prevent us, if we wish, to create a product without AOC, like our cuvée “La Créole”, white rum produced for the 10 years of the shop Christian de Montaguère, from the cane Creole “bread epi lèt” “. How do you see the future of La Favorite in the coming years? Stay as a family and craft business as much as possible. And continue to work as we do, with passion and dedication. To question oneself every day, to strive for ever more optimal quality. Stay true. Feel the affection that fans have for our brand, and the pleasure they have to taste our rums. 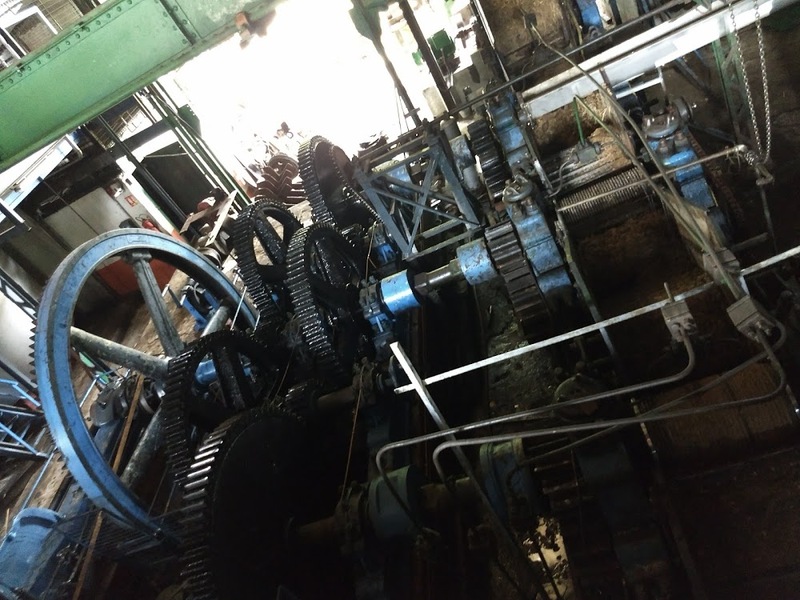 The small structure that we are still has a good margin of progress and we hope to participate for a long time in the development of its success, in Martinique and internationally, to continue with pride and humility the work undertaken by my great-grandfather there is over 100 years old. Would you like to take advantage of the “incredible” exhibition that this interview will give you to give us a scoop? ( 🙂 ) Otherwise I leave you the word of the end. I already want to thank you for this interview and your interest in our production. We hope first of all a beautiful harvest 2019, to continue our work of partial selections. We expect in a few months the release of two new rums old age, including one in tribute to my grandmother. A superb blend, but I do not say more. Before that, we will have for the second consecutive year the joy of welcoming the schooner “Tres Hombres”, which stops in Martinique to ship some barrels of rums, including a lot for the “frères de la côte”. Between the time of the first questions and the realization of the article, my friends succeeded in surprising me for my 40 years. Indeed, these have “just” asked Emmanuelle to prepare a special bottle for my birthday. And that without knowing that the question had already been mentioned not seriously for this interview. 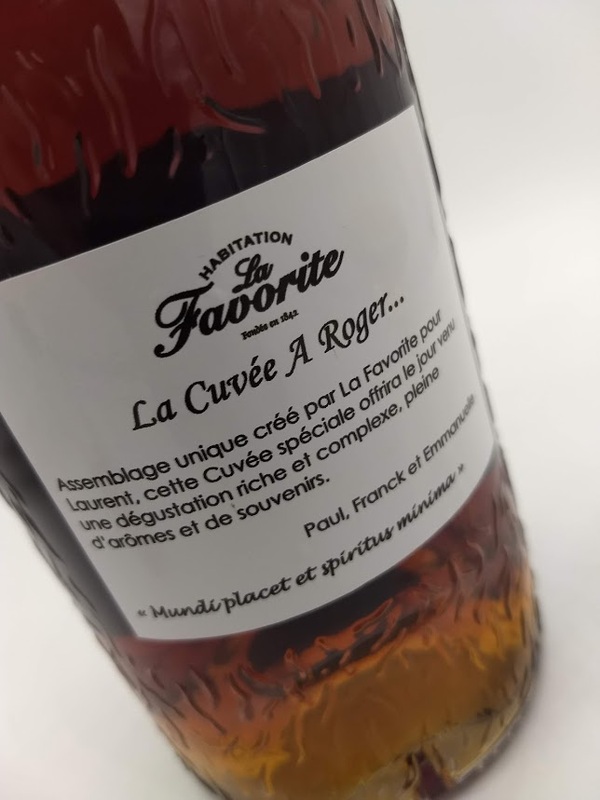 At the beginning of January, I received a unique bottle made in a unique way by Emmanuelle, with special labeling and new content. Nose: sweet, chocolate, fruity and woody. Particularly fragrant, this one is very pleasant. The banana, the green apple, a woody end, a rancio side, rubber, eucalyptus and some spices including white pepper and nutmeg are the main markers of this “Verticale assemblée”. Directly, the memories of the smell characteristic of the cellars of La Favorite come back to my good memory. The 48.5% are very delicate and remarkably integrated. Palate: the peps at the beginning of mouth is really very pleasant, it is not always usual on an old La Favorite and it brings a nice freshness and an airy aspect. There is some power but it remains delicate. The first fragrances are marked by the woody imprint that brings us tannins, bitter chocolate and vanilla. It follows directly the fruity banana and acidity of the granny apple and a floral side. The finish is rather strong on liquorice and nutmeg-type spices. Price: this bottle is priceless. Conclusion: a La Favorite very fresh, alive, fruity, woody and especially very generous as the distillery. To tell you that this bottle is beautiful would make no sense because the subjective side comes into play. The only thing I can tell you objectively is that it’s a success, as the three vintages that compose it … … after giving it a rating is just impossible, indecent.